Today I have a fun post a bit out of the ordinary for a hot July day. I think you will see why once you see each card. cut with the Tutti Designs Nesting Stitched Banner die. A perfect place to add my Merry Christmas die cut. 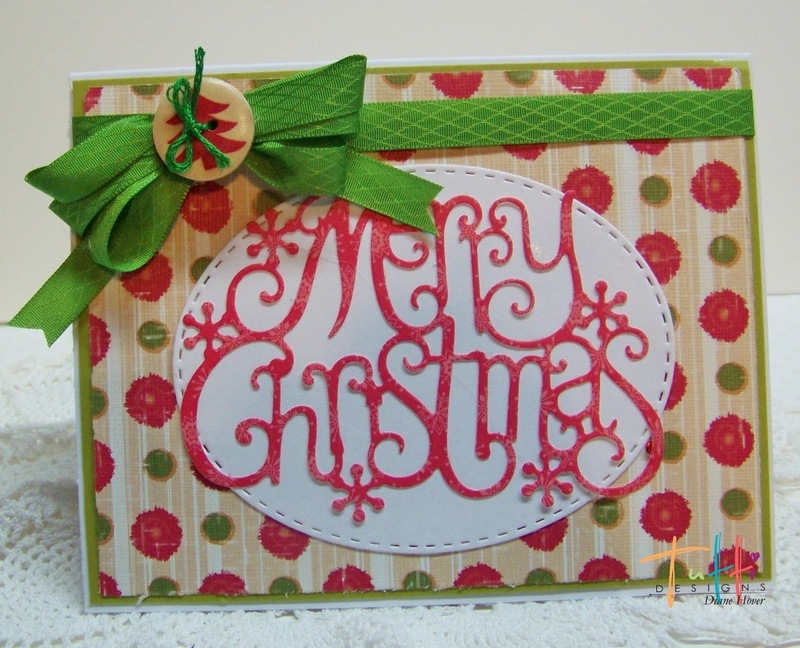 is the second card, I think the ragged polka dots just shout out 'fun'!! 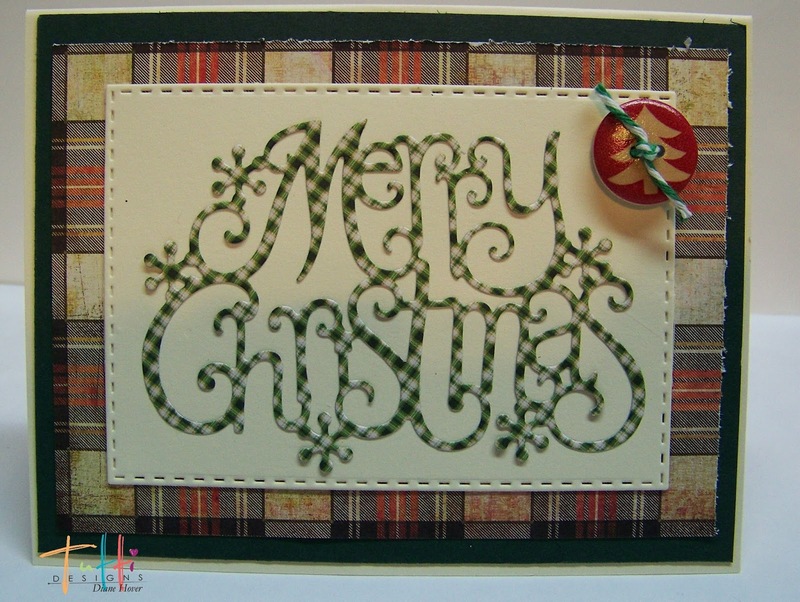 The Merry Christmas was adhered to a Tutti Designs Nesting Stitched Oval. I added a ribbon bow and a cute wood button. I think the name fits with all the plaid, a bit primitive! and placed it upon a Tutti Designs Nesting Stitched Rectangle. I added a wood button to this card, keeping it a bit more simple. using the Tutti designs dies! Beautiful! I love the simplicity of these elegant cards! These are all so fabulous! Love the elegance of the shiny red card but the traditional holiday plaid really warms my heart too! WELL DONE!